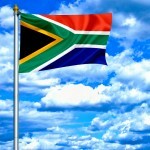 Taxpayers Rights When Audited By Tax Authorities In South Africa (Chapter 6.1) | TaxConnections is a where to find leading tax experts and tax resources worldwide. Administration Act 28 of 2011,1 and with a request that comments be submitted by the public. The Tax Administration Act when it finally takes effect on 1 October 2012, will allow SARS to have some draconian powers. These include: on raising a revised assessment SARS will be entitled to immediately enforce the pay now argue later provisions of the Act(despite legitimate expectations granted in the past by the Commissioner that application can be made for the suspension of payment under certain broad circumstances, and despite the past automatic suspension of the principle in terms of the Supreme Court of Appeal judgment in Singh v C:SARS4 until the objection process is completed); SARS will be entitled to obtain an asset preservation order; enforce the assessment against third parties personally involved in the financial management of the taxpayer; apply to court to withdraw the taxpayer’s authorisation to conduct business in South Africa; and require the taxpayer to cease trading. It can be anticipated that SARS will use these powers liberally. The provisions that will replace ss 74A and 74B are contained in the definitions of ‘administration of a tax Act’ and ‘relevant m terial’ read together with ss 3, and 40 through 49 of the proposed Tax Administration Act, and in particular s 46 dealing with the request by SARS for ‘relevant material’ – ‘foreseeably relevant’ and with ‘reasonable specificity’, within a ‘reasonable period’. The provisions, are couched more widely to allow the inspection and investigation of persons who may not be taxpayers, the specific inclusion of random audits5, and granting SARS specific powers to investigate in its scope of an audit whether or not an offence has been committed, in respect of tax offences where a senior SARS official may lay the appropriate criminal charges. It is, however, submitted that taxpayers may have stronger ‘just cause’6 not to participate in a proposed audit by virtue of some of the stated extended SARS powers, and may in fact have greater constitutional justification in having the decisions taken by SARS to embark upon an audit reviewed by the courts – in that the current ‘softer’ environment to suspend the ‘pay now argue later’ principle will be eliminated, and the fact that SARS is given express and specific powers to investigate a taxpayer, obtain self-incriminating evidence from that taxpayer, and then use it to lay a criminal charge against the taxpayer. The taxpayer is expected to incriminate itself (contrary to the Bill of Rights s 35(3)(j) guarantee) by handing over any ‘relevant material’ that SARS may require as being useful to conduct the audit, for SARS to then simply use that information7 (or information derived from that information handed over in self-incriminatory circumstances) as evidence to prove beyond a reasonable doubt the guilt of the taxpayer in committing a statutory or common law tax-related offence. This is contrary to the principles laid out by the Constitutional Court in Ferreira v Levin NO and Others; Vryenhoek and Others V Powell NO and Others8 in a similar instance where a person was compelled9 to make available self-incriminating evidence. The Constitutional Court held that where public policy dictates that self-incriminating evidence should be made available by a person, that evidence cannot be used to incriminate that person both in its direct form, or any other evidence derived from it. This issue falls outside the scope of this thesis, but the constitutional issue that flows from it will no doubt give rise to much litigation, and opportunities for taxpayers to raise the ‘just cause’ defence to refuse to participate in any SARS audit by refusing to submit to SARS’ demands for ‘relevant material’. Despite the above criticisms and comments, it is the writer’s submission that the new proposed provisions in the Tax Administration Act do not affect the submissions and conclusions reached in this thesis. 1 Hereinafter referred to as the ‘Tax Administration Act’. 2 Copies of some of the criticisms submitted by the Law Societies of South Africa (“LSSA”), the KwaZulu-Natal Law Society, the South African Institute of Tax Practitioners, the Advocates Bar Association of South Africa, professional firm Edward Nathan Sonnenberg and the South African Institute of Professional Accountants are available on the website www.TaxRiskManagement.com (last accessed 18 March 2003). 3 Between 8 – 12 March 2010 in Cape Town, Port Elizabeth, Durban, Johannesburg, Bloemfontein, George and Pretoria, under a training series called SAIT Tax Administration Bill by the writer in his capacity as adjunct Professor of Law, Thomas Jefferson School of Law, San Diego, California – see the website the South African Institute of Tax Practitioners (“SAIT”) www.thesait.org.za (last accessed 18 March 2013). This series of lectures was repeated nationwide in South Africa during October 2011 and to be repeated in October 2012. 4 2003 (4) 520 (SCA). 5 This is a specific attempt to circumvent principles in jurisprudence such as that set out in the American case of US v Third Northwestern National Bank 102 F Supp. 879. 6 See section 3.8: ‘Just Cause’ Defence supra. 7 Section 72 of the Tax Administration Act, unless a court directs otherwise. 81996 (1) SA 984 (CC). 9 Sections 35(3)(h)-(j) of the Constitution; See also ITC 1818 69 SATC 98 and Seapoint Computer Bureau (Pty) Ltd v McLoughlin and de Wet NNO 1997 (2) SA 636 (W).